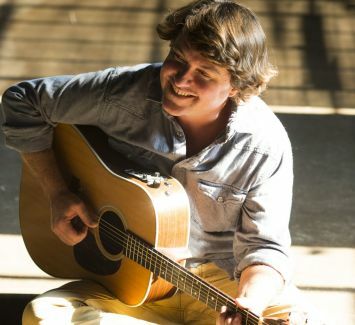 Keller Williams is the ultimate one man band, using an electronic looping device to set up a guitar riffs undergirded by funky bass and drum. Williams uses his feet to remove and reinstate song elements to create kaleidoscopic tunes one layer at a time. He’s is a one man jam band and a legend in the making that will be joined by Danton Boller for a special duo show. "Usually, I play places without seats. My looping show comes in handy at those establishments. Occasionally, Im allowed to play really nice places with actual places to sit. Like for example the beauty of the Kirby center in Wilkes-Barre Pennsylvania. Or The super intimate StageOne at the Fairfield Theatre Company in Connecticut. Its these types of places that I feel acoustic music is truly what the rooms were intended for. With that in mind, I'm proud to announce that Danton Boller on the big acoustic double bass will join me as a duo in those almost perfect rooms. Just because these shows are loopless, it doesn't mean it won't be super funky. Funk is in the mind, the soul and also in the right hand of Danton Boller. I'm excited to explore the ideas of acoustic dance music with only the big bass, a couple of acoustic guitars and a whole lotta songs to choose from. Danton is in my band KWahtro and has done a bunch of Grateful Grass gigs so......these shows could get real freaky. And if you want to....you can sit. Which is not always an option. Feel free to vibe off my stoke. Kw."